Mum, can I take the cow for a walk in the river? Ready, steady, cross the road if you can! A long green tail of cool mountains and sun-soaked beaches, Vietnam is enigmatic, resilient and simply stunning. 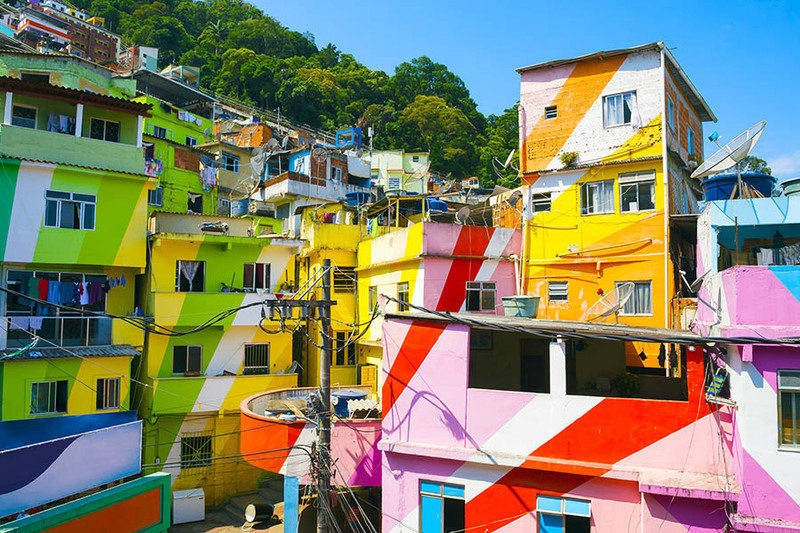 Its ambient cities are home to French colonial villas and fascinating war museums, as well as decent coffee and teeming markets. Away from urban life you’ll be hiking to hill tribes, cycling past paddy fields and sailing to surreal islands. 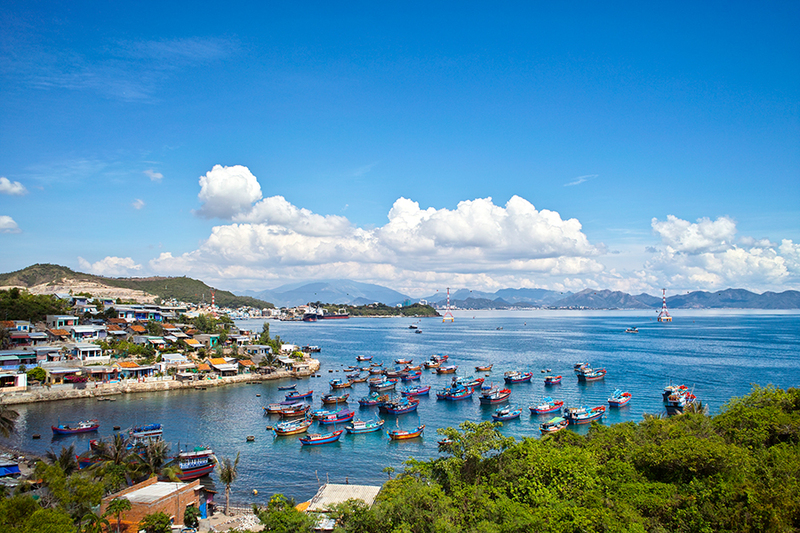 Set beside the Red River, there’s lots to love about Vietnam’s compact capital. Each day starts with coffee and croissants, while scooters swarm the Old Quarter where you can shop for silk and slurp Pho soup. 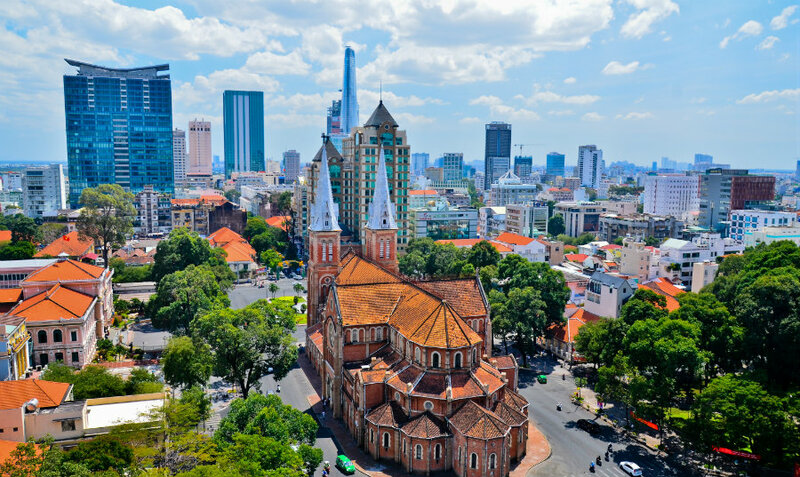 To see more, take a cyclo past the pretty lakes and villas of the French Quarter, or visit the square where Ho Chi Minh read the Declaration of Independence in 1945. 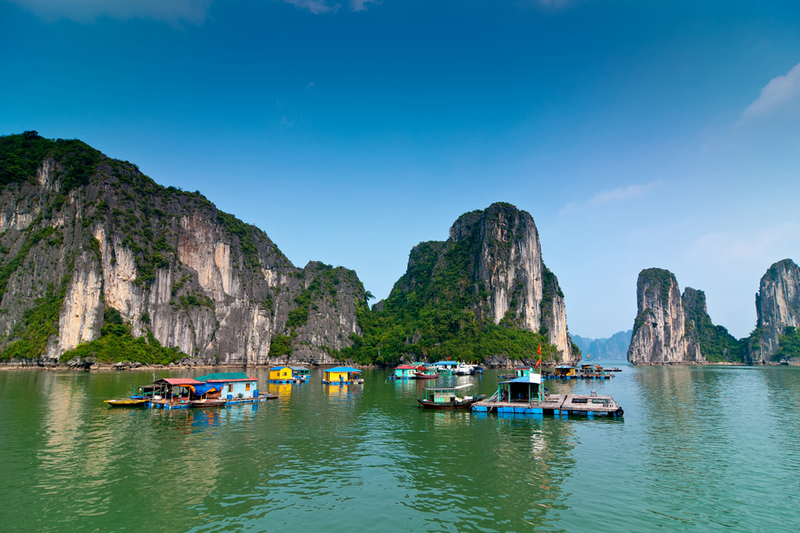 Travel east to sail into Ha Long Bay where 2,000 limestone monoliths rise from the water. Sightsee on deck or scramble up the cliffs, dive into deep lagoons and explore the wave-cut caves. While most islands are uninhabited, the largest have hotels and bamboo huts, or you can sleep aboard a traditional junk boat in the tranquil waters of the bay. 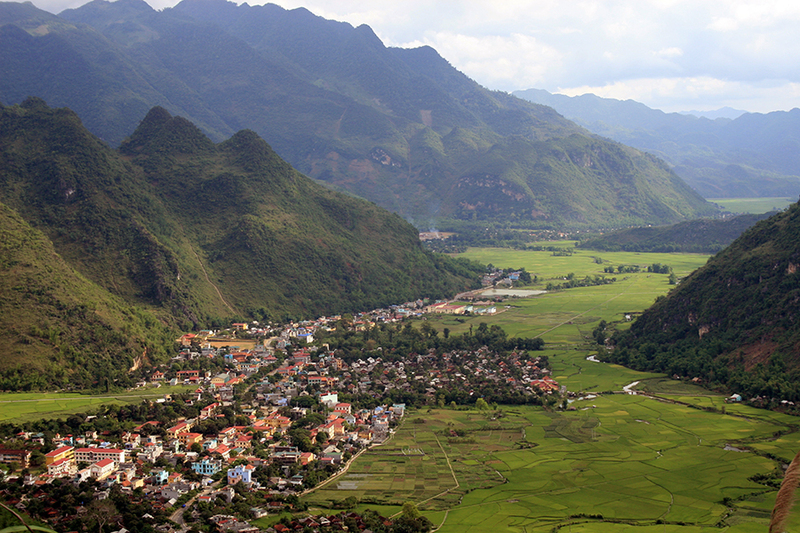 Perched on a plateau in the far northwest, Sa Pa has grown from a small French hill station to a major tourist hub. The town itself may not be the prettiest but the appeal is in the dramatic peaks and cascading rice terraces that surround it. Visit the hill tribes that call this area home and see how each is distinguished by their dress, from the indigo coats of the Black H’mong, to the scarlet headscarves of the Red Dao. Make Sa Pa your base before lacing up your boots and hiking into green mountains shrouded in mist. Opt for the popular Tram Ton Pass to experience plunging waterfalls and incredible views, or hire a guide for the ambitious ascent of Fan Si Pan mountain (3,143m), the country’s highest peak. With forested mountains that extend to the coast and small cities steeped in history, the central provinces are classic Vietnam. 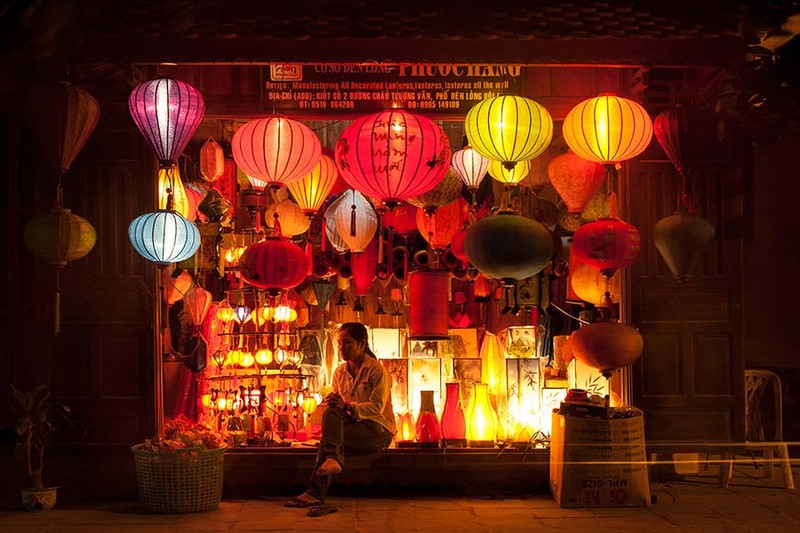 Start in the lantern-lit streets of Hoi An and explore Japanese merchant houses and Chinese temples, before relaxing in the lounge bars or hitting the clubs. Further north, the palaces and pagodas in the former capital of Hue tell the story of imperial Vietnam. Lively yet laidback, Vietnam’s top beach destination boasts a long strip of golden sand which licks along the south central coast. Backed by mountains and lapped by turquoise waves, you can laze in Nha Trang’s beach cafes and stroll through the sculpture garden, or scuba dive with lionfish, sail to offshore islands and go wild in the waterparks. A few hours further south, Mui Ne has morphed from a fishing village into a smart resort that registers on the international windsurf scene. Beachfront hotels line the shore of Ham Tien tourist village, while a handful of fishermen ply the waters. 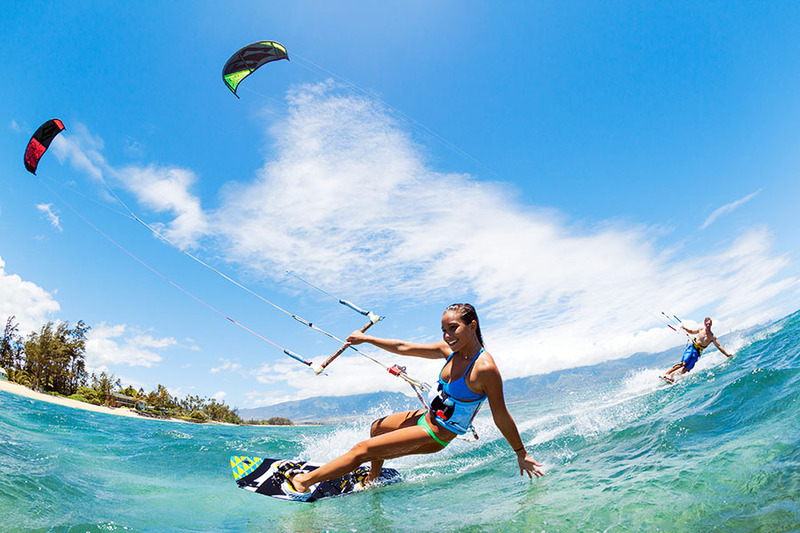 The best way to experience Mui Ne is to get involved: book a kitesurf course or tee-off on the greenways, hire a paddleboard or surf the gentle swell. 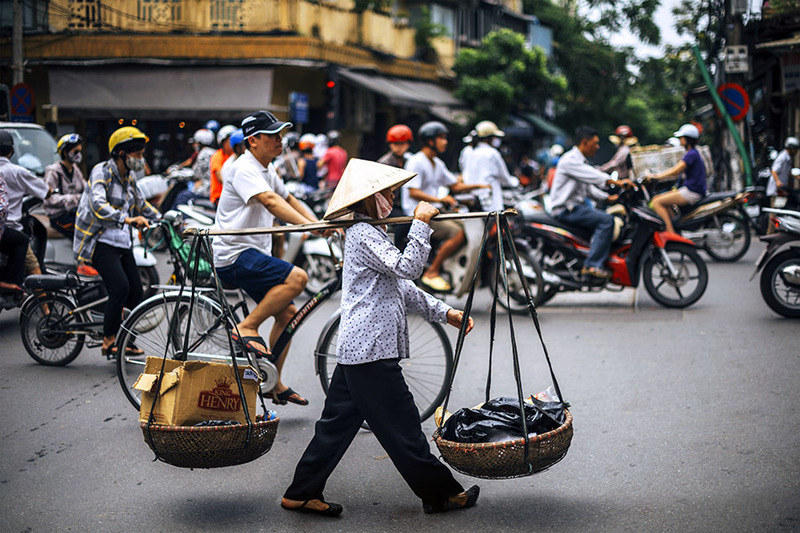 The country’s economic powerhouse and biggest city, Ho Chi Minh teems with motorbikes and pulses with energy. Known as Saigon by most, it’s a city of buzzing markets, colonial relics and soaring skyscrapers. Home to expats and business tycoons as well as cash-strapped locals and street children, you can scrape by on a backpacker budget or blow it all in the cocktails bars. Nearing the South China Sea in southern Vietnam, the mighty Mekong River fans out to create a watery delta that’s unfathomably fertile. 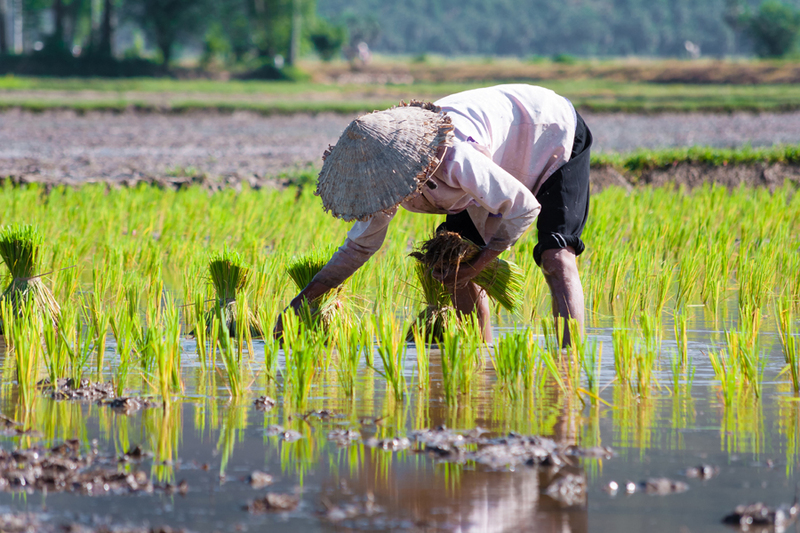 For the fullest experience, kayak along the canals that crisscross the rice paddies, cycle past papaya trees and coconut palms, or sail to forested islands where you can arrange a homestay and make friends with a local family.